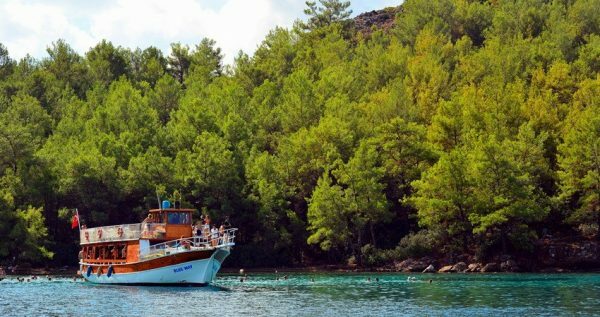 Marmaris Aegean Islands Boat Trip is a unique all-inclusive opportunity for you to relax and unwind during a whole day long sail across the gorgeous emerald Aegean sea. This magnificent trip is organized so it includes everything that you could possibly need to have a worry-free, blissful experience. 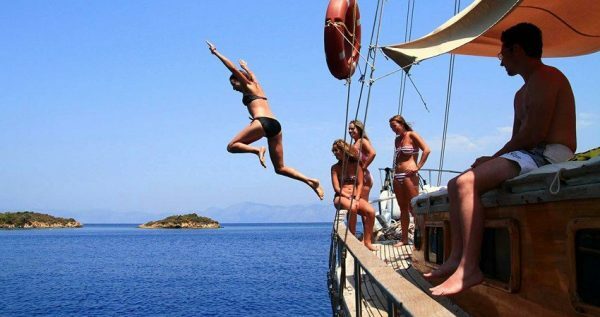 There is a transfer from your hotel in Marmaris, tasty lunch, a variety of soft and alcoholic drinks and beverages such as several kinds of beer and wines. 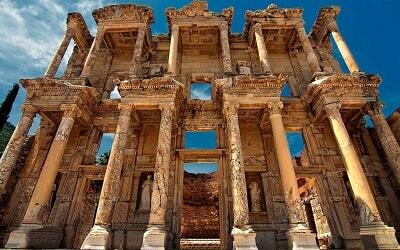 You will get a chance to visit some of the beautiful secluded Aegean gems famous for their breathtaking nature, interesting cultural heritage and amazing historical facts. This trip starts with a lovely visit to the charming Orhaniye village, situated by Hisaronu Gulf. 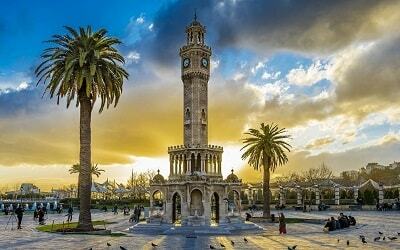 Orhaniye is popular because of one unique natural phenomenon, which attracts tourists from all over the globe. 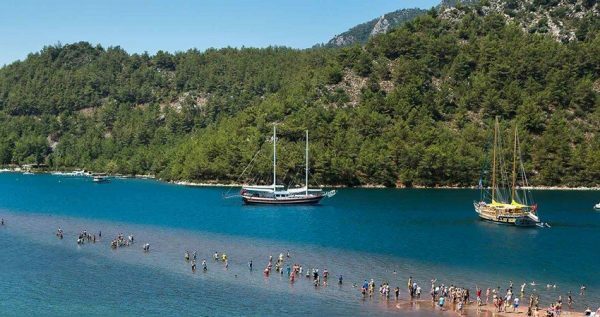 This captivating gulf is divided in two by one long sand-wall, and you are able to walk on it and through the middle of the sea which is named today as jesus beach. 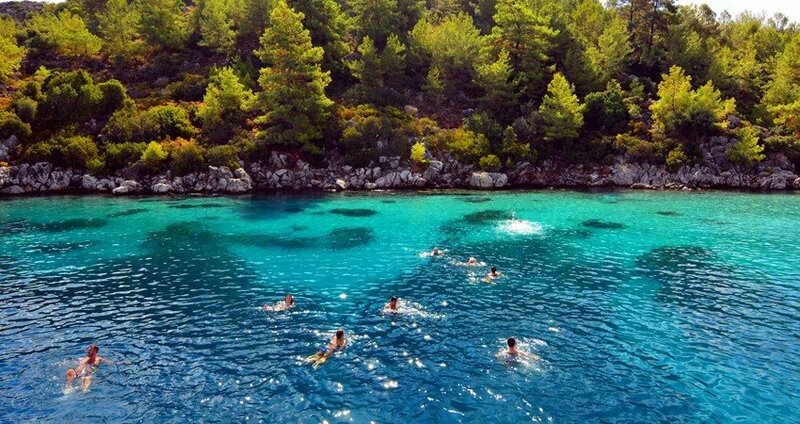 Afterward we will stop at Semiliye for a swim break in a gorgeous Hidden Bay. Everything around the bay is astoundingly beautiful and refreshingly green. 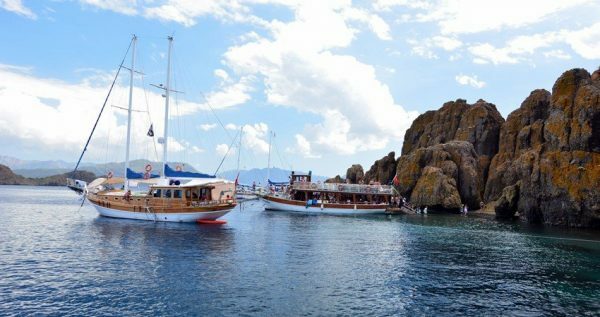 Another swim break will be at the Kamelya Island. This brake will last longer, because we will have our BBQ lunch there as well. 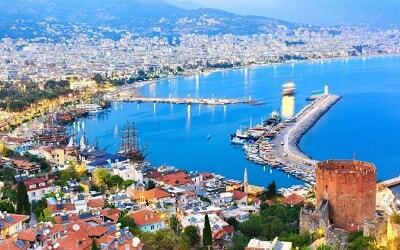 This wonderful island is also well-known for the ancient Greek monastery. Next, we will take a swim break at the Rabbit Island, where you will have the opportunity to feed rabbits and make some great photos of these endearing animals in their natural habitat. Afterwards we will stop at Dislice (Toothy) Island. 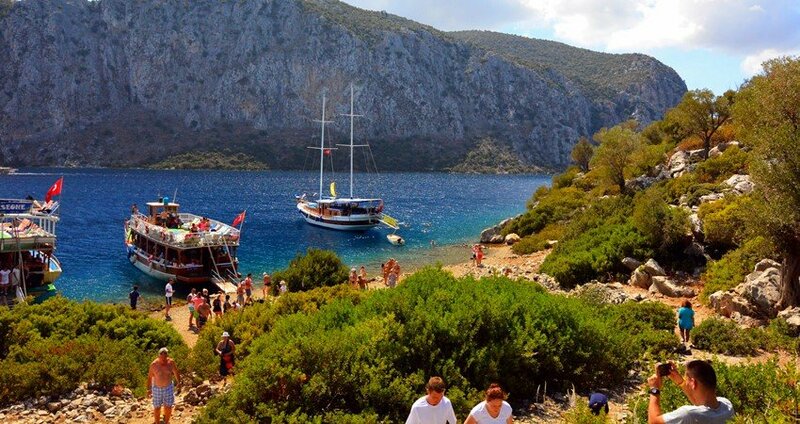 This island is also known by its previous name, Lovers` Island. 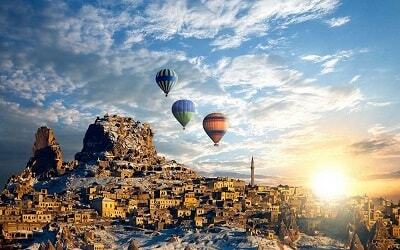 It has a mysterious and unusual look, as it is made of volcanic rocks. Another pause will be taken at the terrific Aquarium Bay, and the Jesus Beach famous for its breathtaking beauty. Once the trip is over all boat guests will be transferred back to their hotels in Marmaris. Reserve your spot on this special tour and have an adventure of a lifetime with us. If you like boat trips, Marmaris Cleopatra Island will be another great day out during your holiday in Turkey. 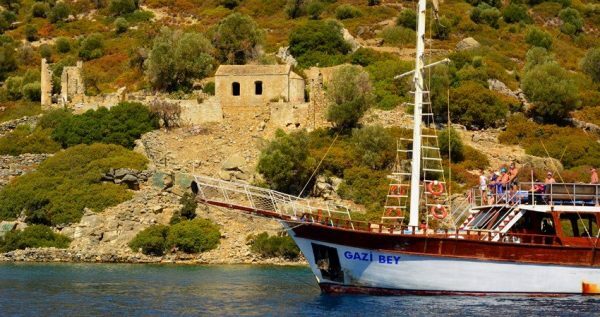 After we pick up our guests from their hotels, we will take them on a 30-minute, cozy drive to Orhaniye, where the traditional Turkish boat will wait to take them into a new adventure. Our first swim break is at Selimiye, a secluded and gorgeous bay situated so it can only be reached by boat. The serenity and the captivating untouched nature are the main features of this lovely place, and we will spend 30 minutes here, so you’ll get to enjoy it properly. 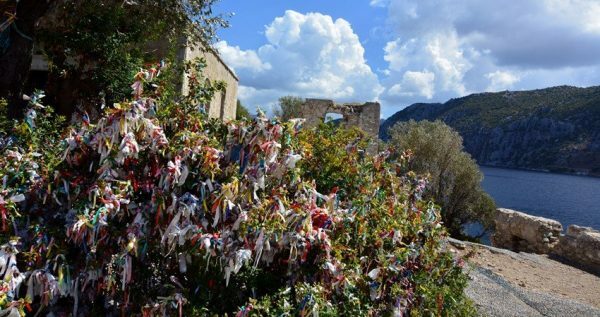 Kamelya Island hosts some very interesting remains of a Greek Monastery and many people visit it, tie ribbons and pray for the fulfillment of their wishes. The turquoise blue water surrounding this marvelous island only ads some additional charm to its captivating beauty. After a one-hour swim break, we will take a lunch break. Our next stop is the lovely little island called the Rabbit Island. It got its name because of the large number of rabbits that inhabit the island. We will take a 10-minute picture break here, so you will get a chance to make some awesome camera shots. Toothy Rocks is a very small island formed by the group of volcanic rocks jutted out of the sea. The overall effect is that it looks like teeth arranged in rows. We will take a 30-minute swim break here. Aquarium bay got its name because of its crystal clear blue waters. Water here is so transparent, that it looks like you are looking at the aquarium. This swim break will last for about 30 minutes. 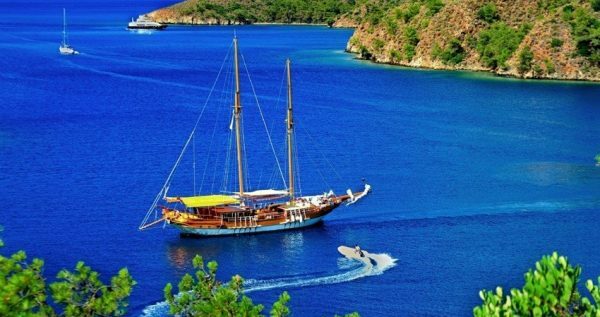 This is our last break before we sail back to Marmaris. We will have a 30-minute long break here, during which you will get to take a walk down a sandy wall which divide the gulf in two separate floras. 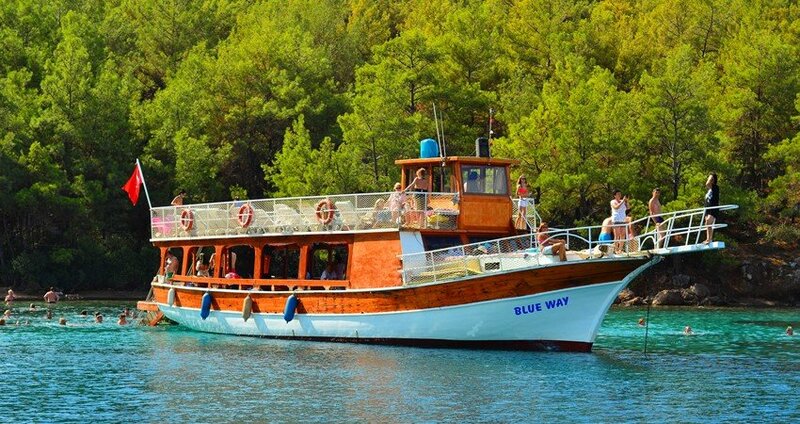 Once Marmaris Aegean Islands Boat Trip is over, our shuttle buses will take you back to your hotel. This transfer is free of charge, as it is included in the tour price.